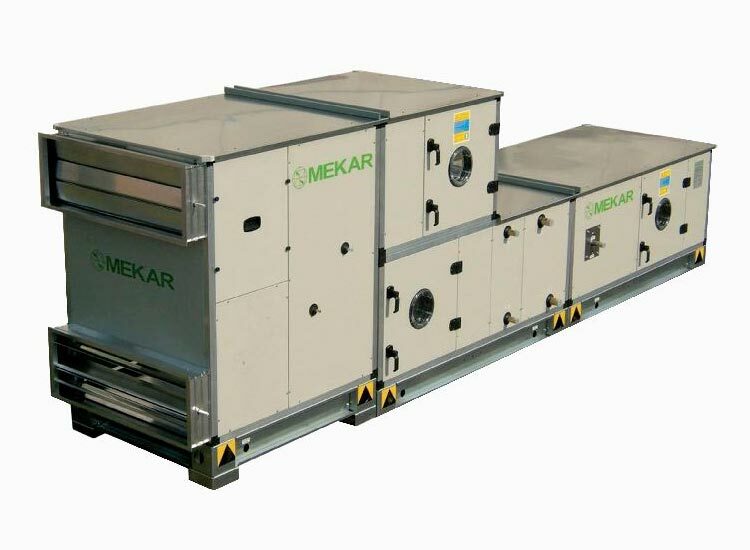 The 23MK series airhandling units are available in 44 sizes and cover an airflow range from 1000 to 80000 m3/ h (0.278 to 22.222 m3/s) and with total pressures up to 2500 Pa. Special units can also be supplied for airflows and pressures above the normal range. 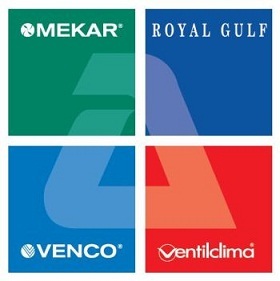 The wide range of unit sizes facilitates the best choice in relation to the requested face velocity. The series has been developed and dimensioned in length, width and height, using a module of 160 mm and has 28 basic sizes and 16 alternative (low profile) sizes. The latter units have a distinctly rectangular cross section in order to reduce the height while increasing the width, where site conditions require low profi le units. In addition the units 3 and 4 modules high (720 and 880 mm for airflows up to 10000 m3/h) can be supplied without the base frame which reduces the height by a further 150 mm (to 570 and 730 mm respectively) thus facilitating ceiling mounted installation. The maximum dimensions of the sections which compose the unit are designed to permit transport by container.